Guess how many bobby pins? Oh wait! Do you even KNOW what a bobby pin is anymore? 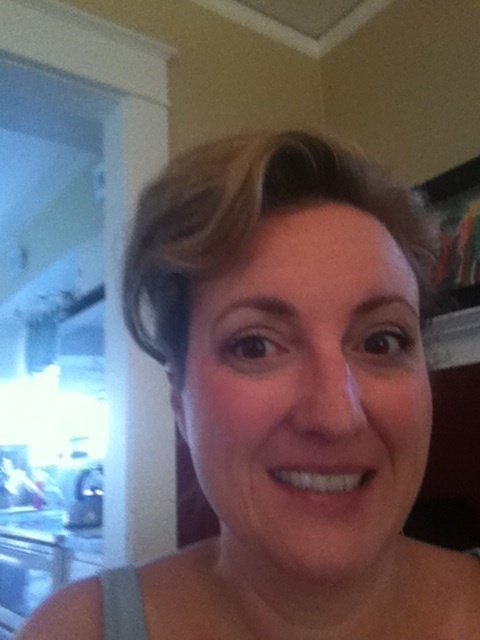 Or hot curlers? Or Aqua Net hairspray strong enough to seal your walls for winter? 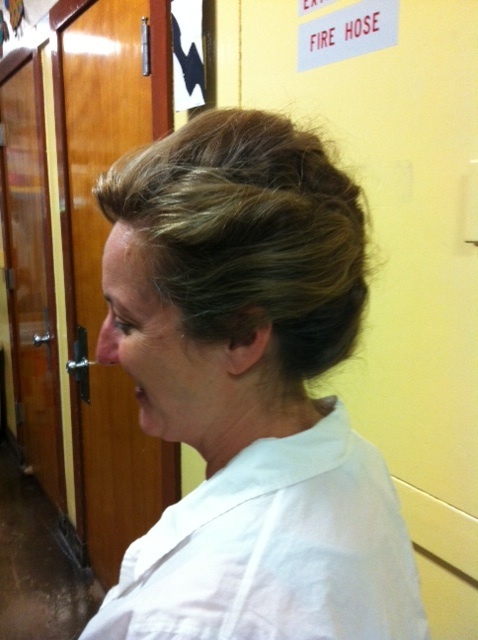 I went all up-do thanks to my friend, Trina at Vertigo Style downtown, for a recent TIME OUT show. 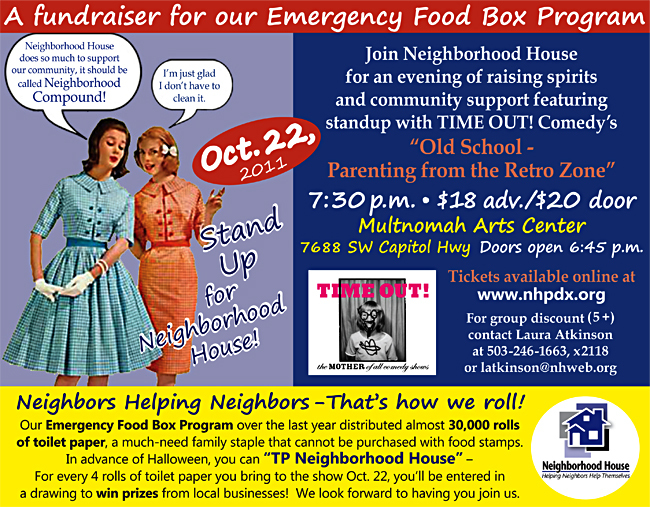 If you missed it, we’re repeating the RETRO PARENTING show to fight hunger for Neighborhood House on October 22 at the Multnomah Arts Center. Guess the number of bobby pins required for this scare-do, and win a prize! 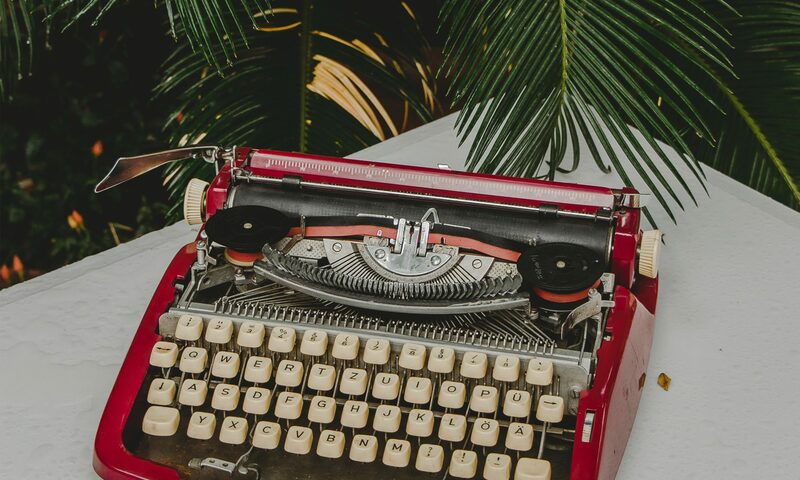 Post comments with answers. What kind of prize? Well, I don’t know yet. How bout a dee-luxe can of Aqua Net just in time for Halloween!